A: Shane Zentz is first and foremost a very nice and very cool person. Shane Zentz is also very smart and talented, as well as being a dedicated and hard worker. Shane Zentz is mainly interested in technology, such as computer programming and web design and development. Accordingly, Shane Zentz began to pursue this passion in 2003 by returning to college. In 2005 Shane Zentz graduated from Ivy Tech State College, in South Bend, Indiana with an Associate of Applied Science degree in computer information systems. Not being satisfied with this, Shane Zentz set a new goal, to earn a bachelors degree from Indiana University. And in 2009 Shane Zentz completed this goal by recieving a bachelors of science degree in Computer Science from Indiana University. Along the way Shane Zentz also graduated from Bethel College with a Bachelors of Science degree in organizational management. Shane Zentz also studied Spanish at IU and also on his own and now speaks Spanish fluently. Shane Zentz has also been a drummer and has held many diverse jobs. In short Shane Zentz is very multi-talented and an all around good guy. A: Why not? Shane Zentz is a talented web developer with the skills and abilities to pull it off, so here it is. What can shanezentz.com do for me? A: Shane Zentz’s website, shanezentz.com will make you smarter and happier, and if used correctly it will also help you to lose weight and become wealthy beyond your wildest dreams. 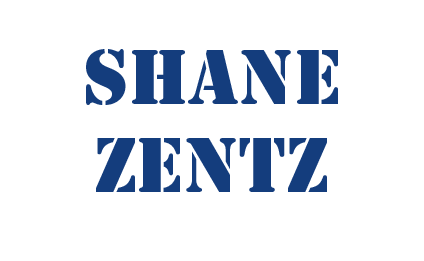 Shane Zentz would ask you, what can’t shanezentz.com do for you? What can Shane Zentz do for me? A: This is a loaded question. But, Shane Zentz can do a lot for you, if the price is right. So. What do you want? What do you need? Let Shane Zentz know and maybe he can do it for you. Go on. What do you have to lose? Just ask and you may be pleasantly surprised by the answer. Is Shane Zentz really as talented as advertised? A: Yes, Shane Zentz is as talented as advertised, even more so. Is Shane Zentz as cool as he seems? A: Yes, Shane Zentz is way cooler than most. How do I contact Shane Zentz? A: There are many ways. Look at the contact page at this website. Phone and email would be the primary ways to make contact with Shane Zentz. For your convenience the information will also be repeated here.